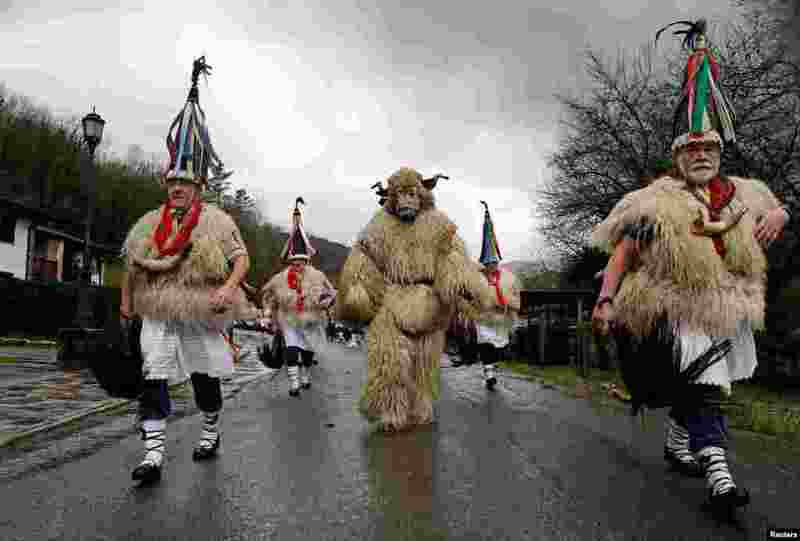 ١ A man dressed as a bear accompanies bell-wearing dancers known as Joaldunak, performing a ritual dance to ward off evil spirits and awaken the coming spring, during carnival celebrations in Ituren, northern Spain. 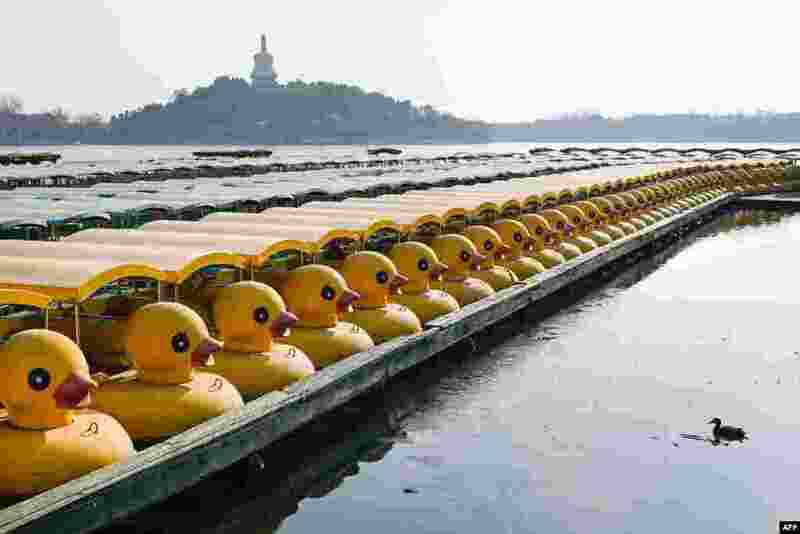 ٢ A duck and a row of moored duck-themed boats are seen in a lake in Beijing, China. ٣ A girl plays on the glass skywalk on the 78th floor of the King Power Mahanakhon skyscraper, Bangkok's highest observation deck, Thailand. 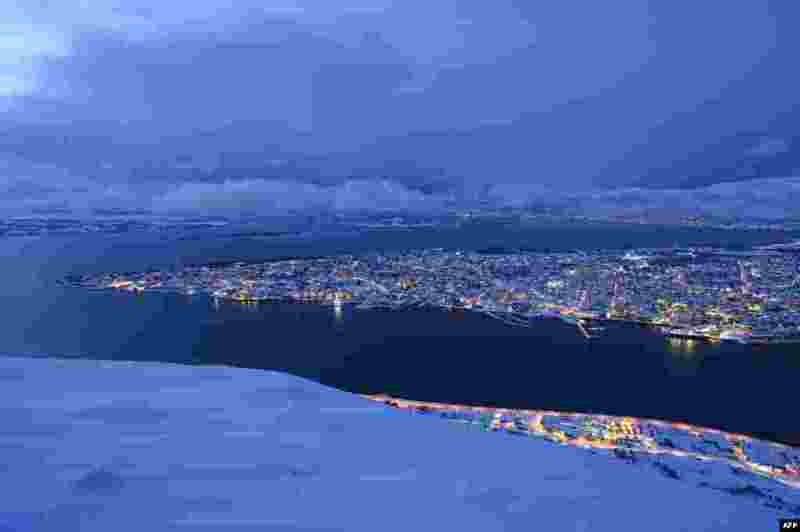 ٤ An aerial view shows the Norwegian northern city of Tromso in the Arctic Circle.